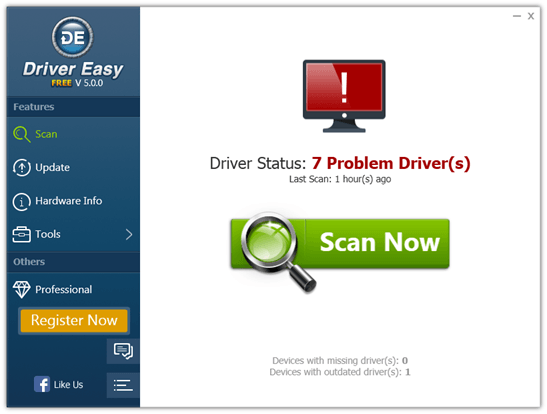 After months hard working, we are glad to announce that Driver Easy 5.0 final version can be delivered to you today. Please feel free to try this new version. If you tried the Beta versions, you might already know that Version 5.0 is totally different from the previous versions. Following are the major things that we’ve done to develop Driver Easy 5.0. With new user interface and improved features, you can expect better user experience from Driver Easy 5.0. 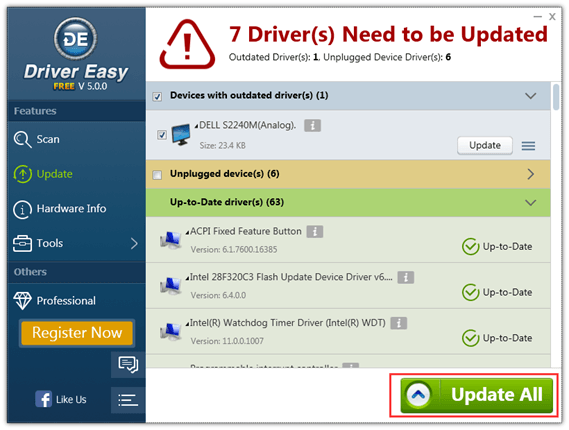 The biggest feature of Driver Easy 5.0 is one-click “Update All” feature, which allows you to download and install all drivers automatically at a time. With this feature, download will complete soon at a much higher download speed. The drivers will be installed automatically as soon as the download completes. To update drivers, you just need to click your mouse one time and Driver Easy will take care of the rest. We would keep improving the program and would release Driver Easy 5.0 later versions with problem fixed and improvements. Driver Backup & Restore feature will be integrated in later version. You can expect the version will be released by the end of April. Please leave your comment if you have any questions and suggestions about Driver Easy 5.0.